Around 1:00 pm on Friday we officially hit the road for Western Extravaganza 3. Our destination was Lake James, Indiana. We arrived around 10:00 pm after a fairly uneventful car ride (YAY for no traffic!). After catching up with everyone, it was time for bed. Since 15 people would be staying at the lake house that weekend, Dave and I decided sleeping on the screened-in porch would be our slumber post, while A.J. and Liz headed off to the workshop turned sleeping quarters…. aka the “Chainsaw Massacre” room… and slept surrounded by workbenches, tools, and chainsaws. Saturday morning we woke up to a relatively cool and cloudy day, but we wouldn’t let that ruin our plans! We spent the morning honing our swimming skills that looked more like crazed thrashing for all but Liz who appears to do no work to stay afloat. After lunch, we spent a quite a bit of time playing around with yoga poses, mostly focusing on crows pose and attempting head stands. A.J. is a head stand master…. while you could say the rest of us are still perfecting our pose. Despite the rain we decided to go out for a 4-5 mile run and then head out to the Lake for some time on the water with skiis and knee-board. It was a bit chilly, so unfortunately we did not stay out for long. 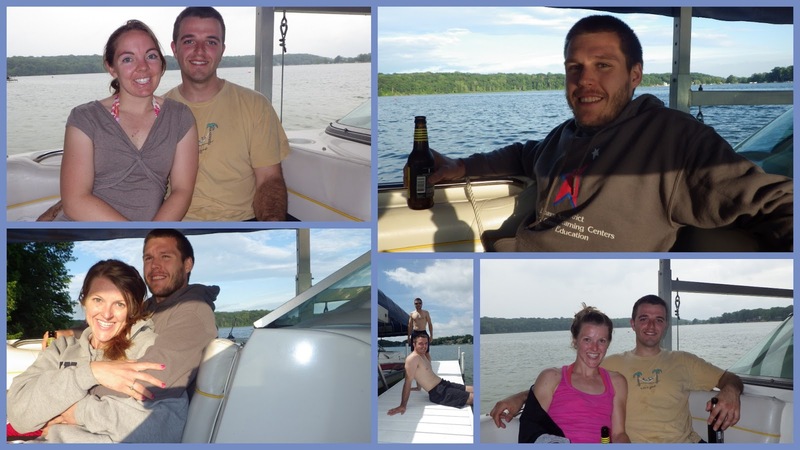 The rest of the evening was spent eating and relaxing in the house and down at the lake. We woke up to bluer skies on Sunday morning (Happy Father’s Day Dad! Happy Birthday Liz!) 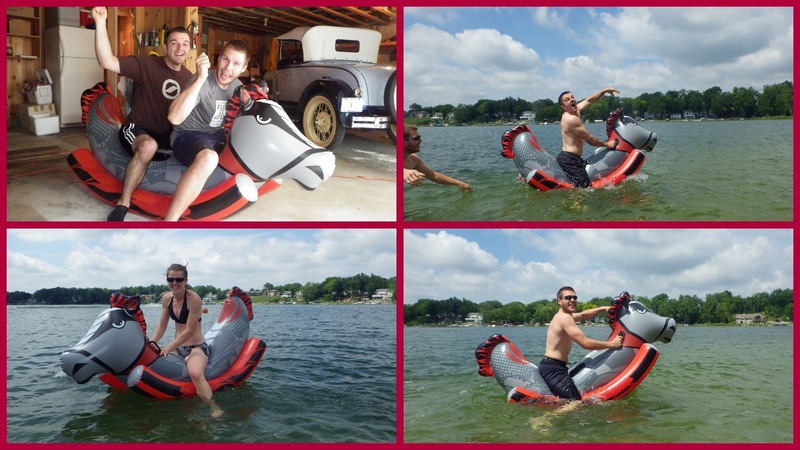 After a tasty breakfast, we took on the task of inflating a large horse for the two littlest ones to play with… no we aren’t talking about Alex and Liz…. but they played on it too! Do to a lack of a functioning air compressor, a little creative engineering was required, and the horse was eventually inflated via a shop vac and funnel! After Dave woke up sleeping 2 year-old Maddox and got ratted out with “But Dave told me too…” by 4-year-old Maicie, we headed down to the lake to play and take a boat ride captained by Liz’s grandfather. Unfortunately, the first injury of the trip occurred during this time, when a cruel, vicious, and sneaky zebra mussel gashed the bottom of Alex’s foot. After clean-up and band-aids, she chocks it up to a mere flesh wound she hopes will be all better in a few days! After grilling burgers for lunch, we pack up, said our goodbyes, and hopped in the cars to head to A.J. and Liz’s place in Madison, Wisconsin. Thank you to Liz’s family for being so wonderful to us once again, cooking wonderful food, providing fun times and conversations, and making us feel like family! The school year is done! We both closed our classroom doors one last time, and now have summer plans ready to get in full swing. Before we hit the road for Western Extravaganza III, we updated our packing list from last year, laid things out in the living room, checked, rechecked, and packed the car. We’ve also been working on drying fruit and making “breakfast bars” for the first leg of the trip. One final detail before we take off…. attach the “Angry Pepper” to the front of the Rav. Last year, he became our official Western Extravaganza mascot (thanks to our friend Doug hiding him, along with other toys, in the car) and weathered many a storm on the front of the car. This year, his likeness will also appear on our official flag… which is still a work in progress! 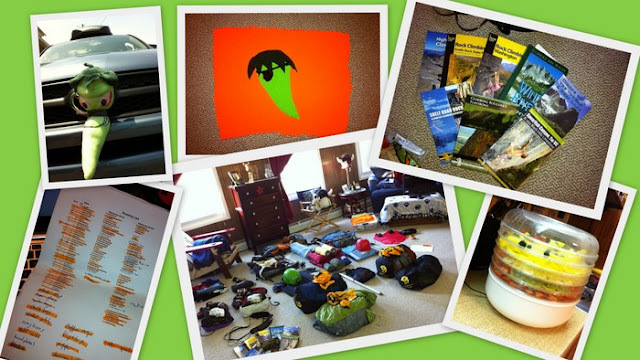 Author Alex DunkelbergerPosted on June 13, 2013 Leave a comment on Packing Time! 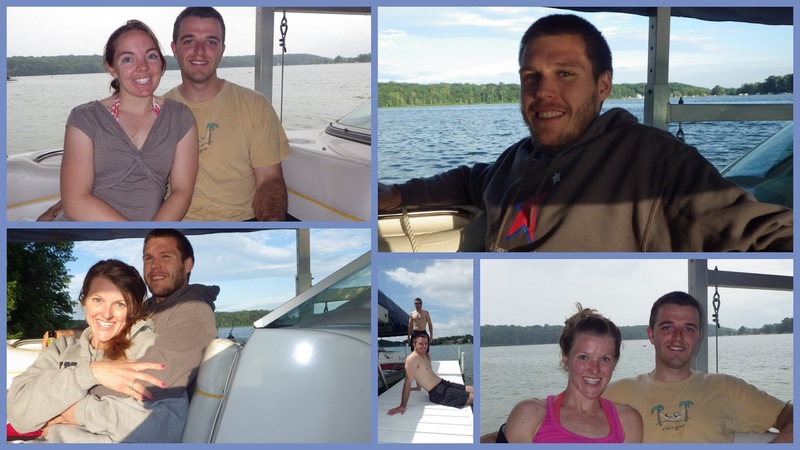 Welcome to our Travel Log Blog for this summer! So many of our friends and family have asked us to keep them up to date with what we are doing throughout the summer, so this seems like the perfect way. We (hope) to keep this up to date with our locations, stories, and pictures! Rough plans so far…. Lot’s of gaps to fill in and most dates are tentative at this point! 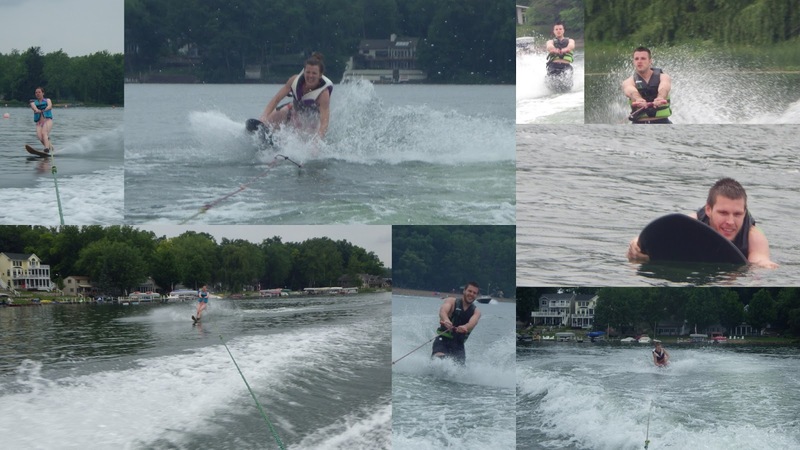 Depart PA on Friday, June 14th and head to Liz’s (Alex’s sister-in-law) family lake house in Indiana for the weekend. June 16th – 24th ~ Madison, WI with Alex’s brother A.J. and his wife Liz. Madison, WI on the way home…. Apostle Islands?? Author Alex DunkelbergerPosted on June 5, 2013 Leave a comment on Welcome to our travel blog!